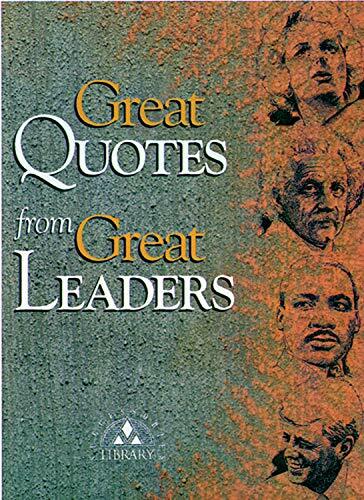 A list of famous leaders who changed their country and the rest of the world. 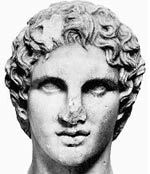 Alexander the Great (356–323 BC) Tutored by Aristotle, the great philosopher, Alexander the Great emerged as one of the greatest military leaders. By the age of 30, Alexander had created an Empire which stretched from his Macedonian home to the Himalayas in India. Alexander became a legendary leader even during his life, and he inspired great loyalty from his army. Emperor Qin Shi Huang (260–210 BC) Huang led the state of Qin and conquered all warring states of China, creating the first unified state of China, which at the time was the largest Empire in the world. He also introduced a central bureaucracy with a legal framework and unified rules and regulations. Huang was ruthless in dealing with any opposition but is considered the creator of modern China. Napoleon Bonaparte (1769–1821) As Emperor of France (1804–1815), Napoleon’s forces swept across Europe. Napoleon frequently overcame numerical odds to win sweeping military victories. He established a dominion over much of Europe, changing the fate of the world. Mikhail Gorbachev (1931– ) Leader of the Soviet Union(1988–1991). Gorbachev oversaw the transition from Communism to democracy in the Soviet Union and Eastern Europe and allowed the Berlin wall to come down. Gorbachev also instigated ‘Glasnost’, seeking to end restrictions on free speech and promote religious freedom. A leader willing to give up power, for the sake of his country and people. 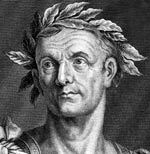 Julius Caesar (100 BC–44 BC) Under Caesar, the Roman Empire stretched to its furthers points – crossing the Rhine and into Britain for the first time. However, Caesar oversaw the fall of the Roman Republic and the rise of the age of the Roman Emperors. Caesar’s motto: ‘ I came, I saw, I conquered’. 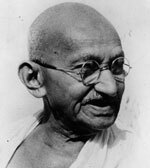 Mahatma Gandhi (1869–1948) Gandhi was the leading political figurehead in the fight for Indian self-determination and independence. Gandhi inspired millions through his non-violent protests. Under his leadership, India gained independence, but at the cost of a separated nation, creating instead two countries: India and Pakistan. Gandhi is still revered as the father of the nation in India. 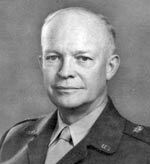 Dwight Eisenhower (1890–1969) A five-star General in the US army, Eisenhower was Supreme Allied Commander for the D-Day invasion of occupied Europe and the subsequent liberation of occupied Europe (1944–45). He led the Allied coalition to victory, smoothing over simmering tensions with great political skill. He went on to become President of the US (1952-1960). Constantine the Great (272–337) Constantine served as Roman emperor from 306 to 337. He successfully defeated both internal rebellions and consolidated the Roman Empire defeating the Franks, Alamanni, Visigoths, and Sarmatians. Nelson Mandela (1918–2013) Anti-apartheid leader. 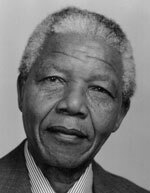 Mandela spent over twenty years in jail for his opposition to the racist apartheid system which excluded black people from many areas of society. He was elected the first President of Democratic South Africa in 1994. Under Mandela’s leadership, he helped South Africa to emerge peacefully from its apartheid era. Martin Luther King (1929–1968) Non-violent civil rights leader. Inspired American civil rights movement to achieve greater equality within the US. Helped to organise the 1963 March on Washington, where he gave his famous ‘I have a dream’ speech. Saladin (1138–1193) led the United Arab armies in Islamic opposition to Christian crusades. In 1187, he defeated the Crusader army and led the Muslim reconquest of Palestine. He earned the grudging respect of the Crusaders and King Richard I.
Abraham Lincoln (1809–1865) Lincoln was president of the US during the American civil war. His leadership was critical in holding the Union of US states together. Towards the end of the civil war, he also pushed for the end of slavery. His speeches, such as The Gettysburg Address are still seen as some of the finest expositions of American principles. 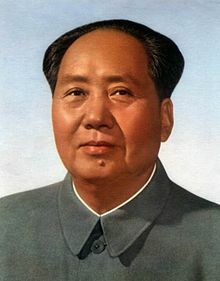 Chairman Mao (1893–1976) Mao led the Chinese Communist party to victory during the long march and fight against the nationalists. He then maintained an iron grip on the country, through his “Cultural Revolution” of the 1960s to his death in 1976. Mao was revered by many Chinese, on pain of death or political incarceration. He is held responsible for the deaths of millions of people. 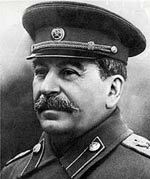 Joseph Stalin (1879–1953) Leader of Soviet Union, from the death of Lenin until 1953. During his leadership, he developed a strict dictatorship and frequently purged any potential rivals. During the Second World War, he was the Supreme military commander in overseeing the defence of Russia against the invading German army. He led the country in total war against the Germans. Akbar the Great (1542–1605) The third Moghul Emperor, Akbar consolidated his Empire across India, through a series of striking military victories. His reign saw the blossoming of the Moghul Empire as a beacon of culture and religious tolerance. Ataturk (1881–1938) Military officer in the Turkish army. 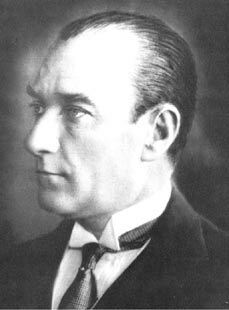 Led the Turkish independence struggle and founded the Turkish Republic. Widely revered in Turkey as the father of the nation. 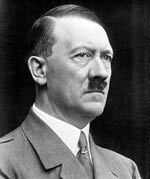 Adolf Hitler (1889–1945) Dictator of Nazi Germany from 1933–1945. Ordered invasion of Poland, Western Europe, North Africa and the Soviet Union. As leader, he also persecuted the Jews and other minority groups, being responsible for the deaths of more than 6 million Jews and people of other minorities. Lech Wales (1943– )Leader of the Polish Solidarity Movement, which sought to end Communist rule. Walesa became the first non-Communist President in 1991. Awarded the Nobel Peace Prize in 1983. King Henry VIII (1491–1547) was England’s most famous and perhaps most notorious King. He had six wives, two of which he executed. 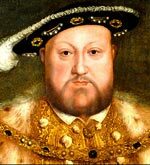 Henry VIII also split the Church of England from Rome to enable him to remarry. Thomas Jefferson (1743–1826) 3rd President of US. Principle author of Declaration of Independence. Third President of the US from 1801–1809. Charles de Gaulle (1890–1970) French leader who offered opposition to the Nazi occupation. During Second World War was ‘Leader of the Free French’ based in London. After the war became an influential figure in shaping France’s post-war future. Joan of Arc A poor peasant girl who made the most unlikely of leaders. But coming from obscurity she helped lead the French Dauphin into successful battles against the English. She had a religious temperament and credited heavenly voices for her instruction and leadership. Died a martyr’s death after refusing to recant her experiences. Seven years after her death, her prophecy of French independence came true. Queen Victoria (1819–1901) was Queen of England from 1837 to her death in 1901. During her reign, the British Empire spread across the globe. Victoria herself was made Empress of India by her prime minister. She came to epitomise a century and maintained close relationships with her Prime Ministers, especially Disraeli. Queen Elizabeth I (1533–1603) was the daughter of Henry VIII who took the throne after a period of social and political turmoil. However, her reign proved a stabilising influence, and importantly saw the defeat of the Spanish Armada. During her reign, an increased number of explorations were made to the ‘New World’ – the Caribbean and North America. Margaret Thatcher (1925–2013) was British Prime Minister from 1979–1990. She oversaw a period of rapid social and economic change in Britain. She was a conviction politician, unafraid to speak her mind and pursue her own ideology. Boudicca (1st Century) Led British citizens in revolt against the Roman occupation. Initially successful, Boudicca defeated the Romans in minor skirmishes before being defeated. Aung San Suu Kyi (1945– ) Burmese opposition leader. Awarded Nobel peace prize for opposition to military rule. Aung San Suu Kyi was placed under house arrest for many years due to her political principles. Jesus Christ (c. 2BC–C 32 AD) is the central figure of Christianity. His teachings and life inspired his apostles to spread his message and they began early Christian communities. His teachings and life later formed the basis of the New Testament and the development of the Christian religion. St Paul. ( 5–67AD) Missionary and influential early Christian. The letters of St Paul form a significant part of New Testament. St Paul began his life as Taurus of Saul prosecuting Christians but later converted to Christianity. Pope John Paul II (1920–2005) Had a great effect on many lives that he touched. People felt he was a sincere and compassionate person. Lived through two very difficult periods of Poland’s history – occupation by Nazi Germany and the Communist era, before becoming Poland’s first pope. 14th Dalai Lama. (1935– ) Leader of Tibetans in exile. Has sought to negotiate with Chinese to respect traditions and culture of Tibetans. Believes in non-violent protest. Pope Francis (1936– ) The first Jesuit pope and the first pope from the Americas, he has sought to reform the Vatican and the Catholic church. Pope Francis has stressed a more humble approach to the position of the pope and has been keen to bring people together.